The number of Bitcoin casino games is expanding at the speed of light in the online industry, but when it comes to the traditional gambling sector, the adoption has sadly not been as fast. But according to a recent white paper from a reputable gaming testing laboratory, the prospect of introducing Bitcoin slot machines or other table games might not be as bleak in the future as a new generation of gamblers dominates land-based casinos. Bitcoin Slot Games for the New Generation ? As reported by GGR Asia, a new white paper from BMM International LLC – an international company that deals in technical consultancy and gaming testing – suggests that casinos should make some big changes to their slot machines if they are to attract a new generation of punters. The white paper, which was geared towards the Asian gambling industry, particularly Macau, makes a few suggestions on how land-based gambling should change, based on market research. According to the report, slot manufacturers should consider adding biometric identification devices that could allow gamblers to wager without any cash, since they could be wary of whom they are providing their personal information to. In line with this opinion, BMM also suggests that new forms of cashless gaming should be introduced by adopting Bitcoin and other similar virtual currencies. 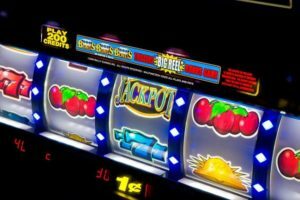 Other ways of improving the land-based casino experience is to change the way slot machines are played. Reportedly, the new generation of players will be looking for skill-based games rather than just luck-based machines, which is why BMM are suggesting that manufacturers introduce terminals that could allow for multiple betting options. Allowing simultaneous wagering on stadium table games, e-Sports, slots, and sports could be one way of drawing in more players. According to official reports, the number of slots in Macau has grown by more than 4,000 units since 2014 to reach a total of 17,200 this September. But at the same time, slot machine revenue grew by only 2.6% year-on-year while the total slot machine revenue accounted for no more than 5% of the overall gross gaming revenue generated by Macau casinos. 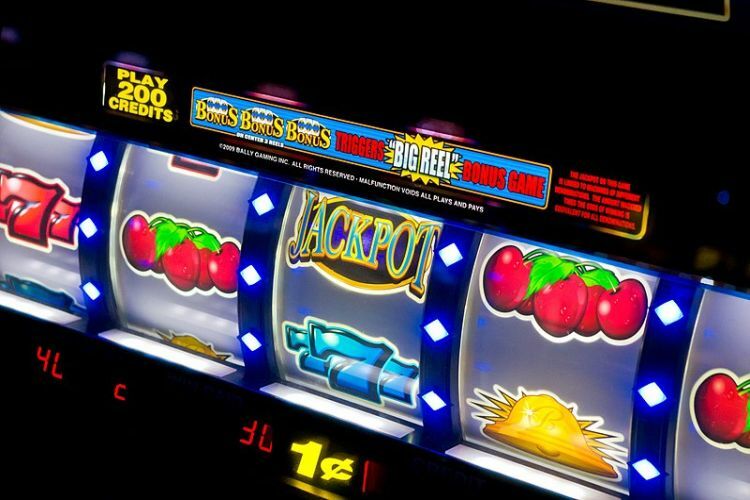 Tapping into the Bitcoin slots market could help drive those numbers up, the report believes. In other interesting news, Germany has just received its second Bitcoin ATM machine in the town of Frankfurt, only a month after a Munich casino installed the first one. As reported by local media outlets, last week a local Bitcoin company called Bitcoin-Store had successfully installed a new Bitcoin ATM (BTM) terminal in Frankfurt – a city that’s also home to the ECB (European Central Bank). Reportedly, the installation of the BTM was inspired by Monte 24 – a local casino in Munich that fought the country’s financial regulator BaFin for the right to install its own cryptocurrency ATM. After a ruling by the High Court of Berlin (Kammergericht) that, technically, cryptocurrencies aren’t classified as money and don’t fall under the jurisdiction of BaFin, Monte 24 was allowed to install a BTM in its food court. This was the first step towards a wider Bitcoin adoption in a country that seriously falls behind on cryptocurrency enthusiasm when compared to its neighbours.